Holy angels of God, be with us always. In all our journeys, holy angels, be with us. In all our studies, holy angels, be with us. In all our meditations, holy angels, be with us. In all our labors, holy angels, be with us. In all our pleasures, holy angels, be with us. In all our temptations, holy angels, be with us. In all our troubles, holy angels, be with us. In all our sufferings, holy angels, be with us. In all our good deeds, holy angels, be with us. In the hour of danger, holy angels, be with us. In the hour of trial, holy angels, be with us. 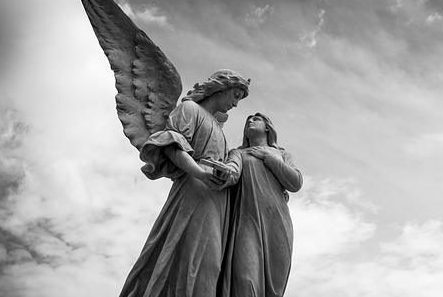 In the hour of death, holy angels, be with us. O almighty and eternal God, send Your holy angels to guard and protect us, and grant that we may see them in Heaven.